I have just about recovered from last night’s Press Awards. It was, as usual, a cracking night that, for me and my wife Pam, went on until the early hours. The Guardian took the big one - Newspaper of the Year - with Scoop of the Year going to the Mail on Sunday for its expose of the Rev Paul Flowers. The full list of winners and some pictures and videos can be found here. Well done to all of them. 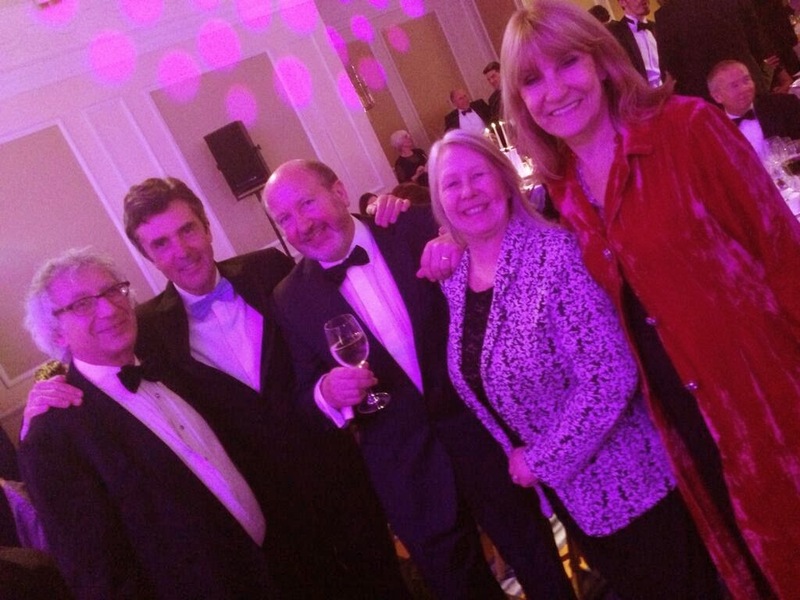 The night was a real celebration of the best newspapers in the world - and a reminder of why politicians and those with other vested interests need to keep their murky meddlings to themselves. It was also a night to catch up with (increasingly) old faces ... great fun. Here are my musings on the night. i) I judged the Young Journalist category and was blown away by the submitted work. There could easily have been 20 worthy winners. There was a good range too. 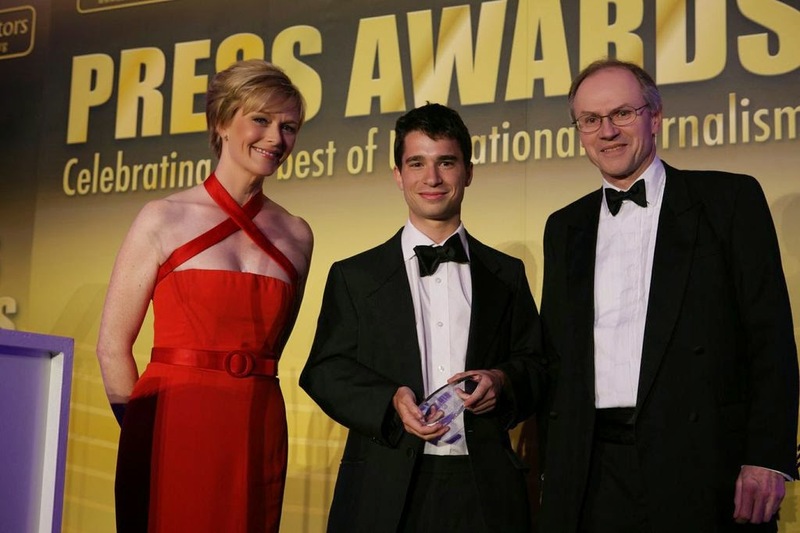 Patrick Kingsley, from The Guardian, won it for frontline and risky reporting from Cairo. By contrast The Sun’s Lee Price was highly commended for some fun tabloid ideas - including successfully inviting celebrities to his birthday party at his flat. I should also give a special mention to Simon Murphy, who I had the pleasure to train. His portfolio for the Mail on Sunday included a world exclusive splash, filed from Peru, on the drug mules and a story about how he downloaded a gun on a 3D printer and took it on the Eurostar. 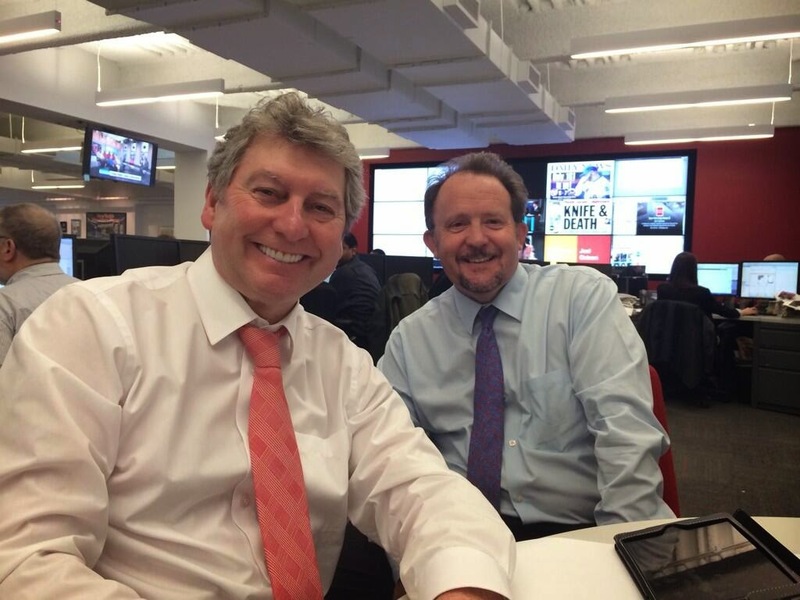 The future of journalism looks like it is in safe hands. ii) Seeing ex-trainees - including David Rose, Charlotte Griffiths, Claire Ellicott, Amy Iggulden, Helen Lewis and Emine Sinmaz - holding down senior roles is very rewarding ... even if it does bring it home just how old I have become. iii) The red tops should really get a better deal. 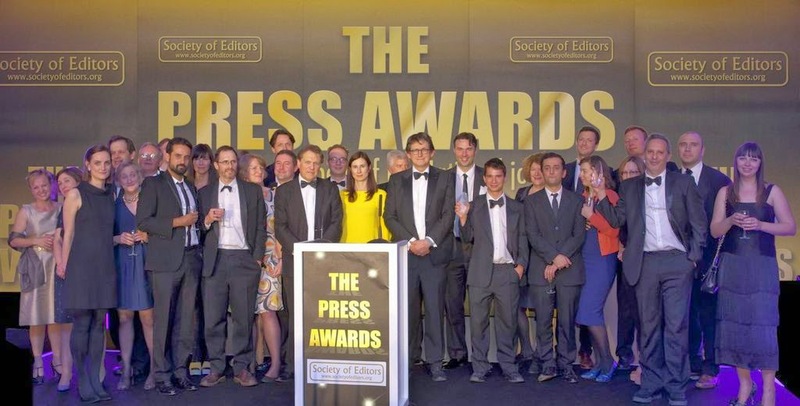 The full breakdown of last night's award winners is Guardian 4, Mail 4, Times 4, FT 3, Mail on Sunday 2, Sunday Times 2, Daily Telegraph 1, Daily Mirror 1, Observer 1, Sun 1, Sunday People 1, Standard 1, Reuters 1. An overwhelming victory for the quality end. In the last 15 years the only red tops to win Newspaper of the Year were the News of the World (2005) and the Mirror (2002). The judges, mainly journalists, clearly gravitate towards the heavier papers. There are, understandably, difficulties in comparing red-top story-getters with the writers, analysts and database researchers of the qualities. Well done to the Society of Editors for recognising this. It was a step in the right direction to separate the interviewer, columnist and feature writer categories for broadsheet and popular papers. It was also a good move to change the secret ballot by all judges to a panel of independent and respected figures. iv) The industry is still clearly dominated by mainly white males. Thirteen of the winners were men and only six were women. There were 18 men nominated in the cartoonists and photography categories - not a woman in sight. Surprisingly there were also no women shortlisted as critics of the year or popular newspaper feature writers. This is a big improvement on last year though ... when there were only three women winners. I know that the Society is ensuring there is more of a balance in the judging panels. But it is a broader issue. There are certainly more women than men coming into the industry - so why the imbalance? Discuss. v) The noisiest and most passionate tables were those of the Mirror and People. The People’s team couldn’t believe that the Nigella Lawson story, which won Front Page of the Year, didn’t also win Scoop of the Year. 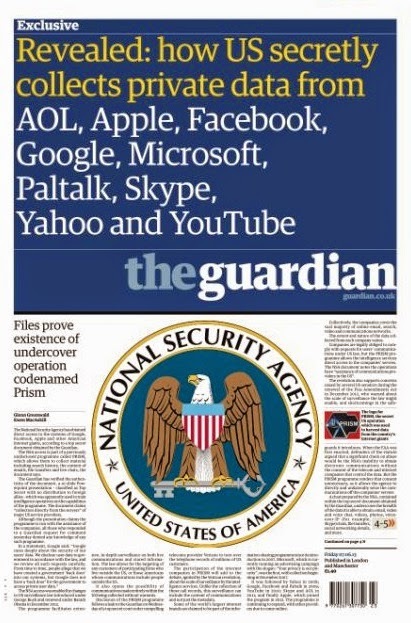 The story wasn’t commended either, so came behind the Mail on Sunday, the Daily Mail and The Guardian. You can understand why editor James Scott was reportedly ready to headbutt the bar. Another dispute about the page - and whether it was the idea of departed Trinity Mirror executive Sue Douglas - spilled over on to Roy Greenslade’s Guardian column and was well aired on Twitter. Follow the trail of Fleet Street Fox from earlier today and you’ll get the picture. vi) A whipround on each table raised more than £3,000 for the Journalists’ Charity. This is something all journalists need to support. The details are here. vii) When you are not part of a paper’s table, the kind of night you have often depends on who you get landed with. We had great table mates. They included TV icons Lynn Faulds Wood and John Stapleton, Sue and John Ryan and young journalist Kate Taylor who all turned out to be good craic. 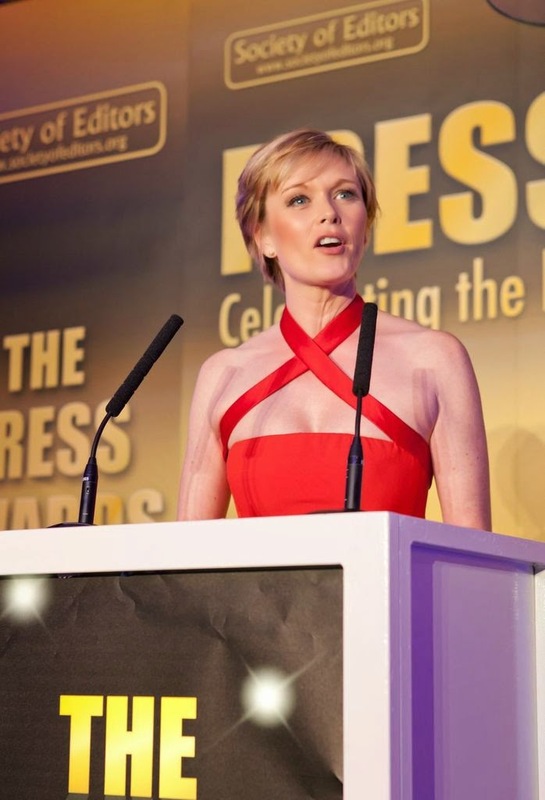 ix) Host Julie Etchingham had her hands full trying to keep the room under control. She’s a great pro, of course, and took it all in her stride. She did say though, as she left, that she felt more like a school-teacher. Amazingly, she is 44. I can only guess she has an ageing portrait of herself in the attic. x) Finally congratulations to Bob Satchwell, the Society of Editors' executive director, and his team. It was a great event. As a judge of many years, I know all too well the effort that goes into making the whole thing as fair as possible, organising the event, printing and proof-reading and general firefighting. Keeping almost everyone happy in a room bouncing with rivalry and egos is no mean feat. As always, all of his diplomatic skills were required. Well done Bob. Now I have six weeks to recover before we do it all again at the regional awards. Looking forward to it. Its a very good blog for media.and you have shared a good information.